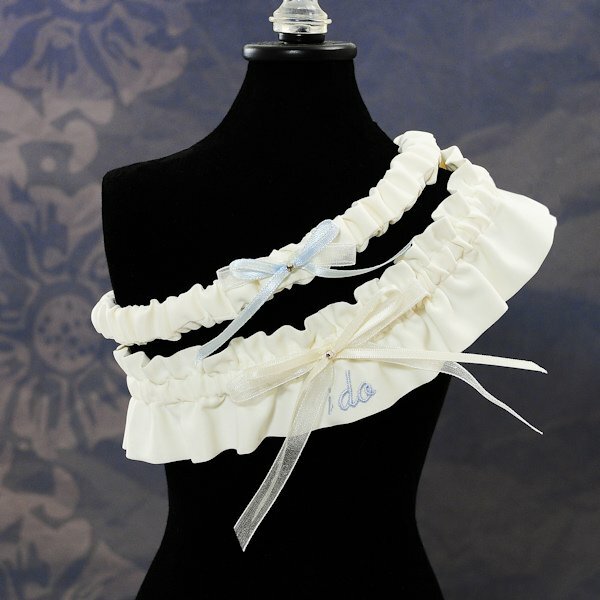 The two most important words on your wedding day have been embroidered on to this delicate satin garter. 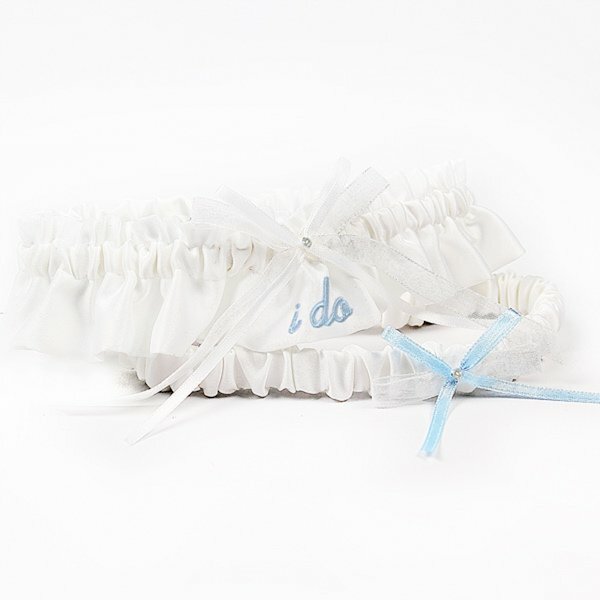 Gathered and hemmed into sweet ruffles, the matte satin garter features the phrase "i do" embroidered underneath a thin white bow and single Swarovski crystal. 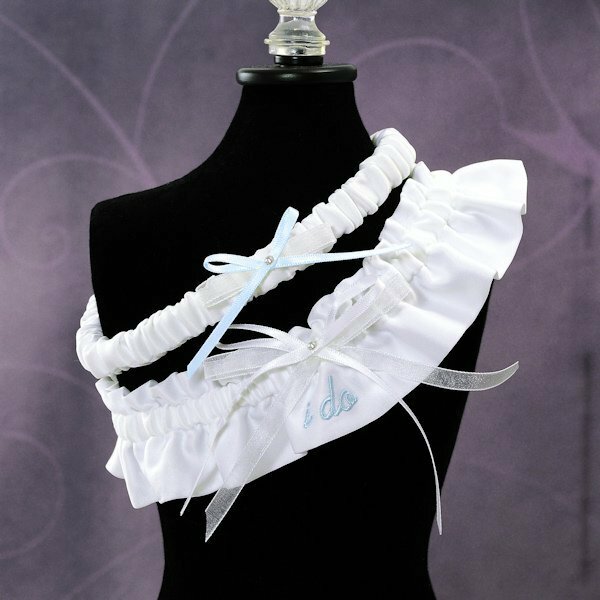 The set includes our embroidered keepsake garter as well as a smaller tossing garter to be used at the reception. Available in white or ivory, one size fits most brides.